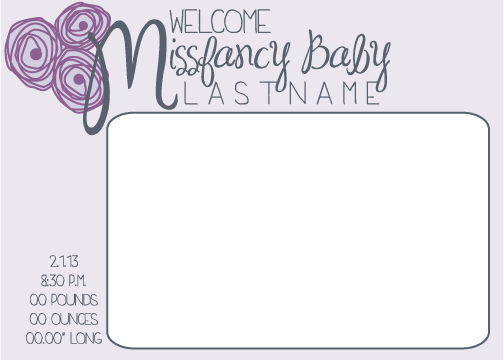 Paper Pearl: Baby Announcements by Fanciful Ink! 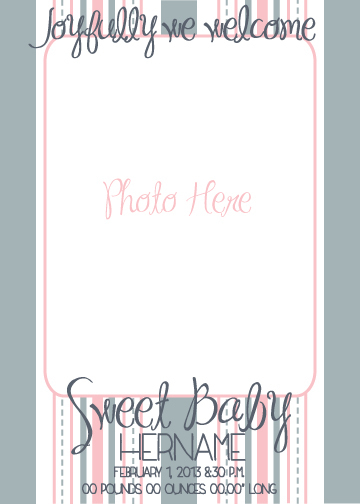 I have partnered with Alison to create ready-made baby announcements for her clients to add on to their package. 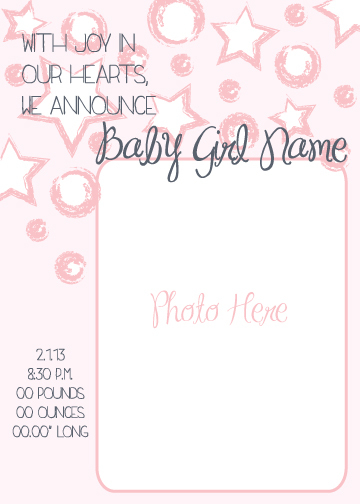 Pardon my silly "girl names" on these designs, but they are completely customizable and ready for your sweet little lady. Boy designs are coming soon! If you would like to customize an announcement or schedule a newborn photoshoot with Alison in the state of Tennessee, please contact us at fancifulink@gmail.com or comment below!